One of the most visible uses of standard aluminum extrusion and custom aluminum extrusion solutions is in the use of aluminum doors and windows. At Silver City Aluminum, we specialize in the creation of frames for doors and windows. Our clients order frames for consumer products, commercial materials, and industrial supplies. 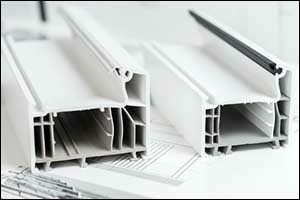 In addition to aluminum doors and windows, we also provide display profiles and frames for industry. Whatever your needs with regard to aluminum doors and windows, we can help you to achieve your goals. Our team is highly trained, experienced, and knowledgeable in the area of standard and custom aluminum extrusion. Located in New England, we provide professional services to clients throughout the eastern United States, across the country, and all around the globe. We are committed to providing our customers with top quality aluminum extrusion products and have earned a solid reputation in the industry for doing so. In addition to our custom orders, we offer services in four distinct areas for quality door and window construction. Our engineers and technicians have perfected the skill of extruding quality frames for our clients. Our methods exceed the industry standards to deliver results that go beyond our customers’ expectations. In addition to engineering and design, extrusion and fabrication, we also offer finishing services, which include painting, anodizing, and powder-coating solutions. We take pride in the quality control that we are able to deliver, both in the manufacture and transport of the products that we create. Our team dedicates themselves to every single step of the process, ensuring delivery of top-shelf products with absolutely no scratches, dents, or inconsistencies. All of the components in our extrusion system are top of the line, enabling us to create custom and even standard aluminum extrusion products that exceed industry requirements. Each element is fully integrated and automated and, through the advancement of PLC control technology, our team can communicate with our machines via the Internet from anywhere on the planet. All of these methods help us to determine how well our machines are functioning, examine the rate of speed, check out the extrusion recipe, and supervise all other variables to ensure consistent and dependable quality control from start to finish. One of the most important aspects of product development for aluminum doors and windows is in the initial engineering and design. While our team can create virtually any shape or size, according to the needs of the client, it is critical to the success of the project to work directly with customers to ensure that every part or component will come out exactly as planned. We have found that client satisfaction greatly improves when we are able to start working with the customer as early as possible in the design phase of the project. Lean on the knowledge, experience, and training of our entire team of engineers and technicians to make sure all details are considered prior to production. From door frames and paneling to display profiles and frames for windows, our goal is to find the most effective, efficient, functional, and aesthetically pleasing solutions for each order. Whether custom or standard aluminum extrusion is chosen, we will work with you to make sure that each extrusion fits dimensionally within the overall finished product. We can make changes and alterations to accommodate any specification to provide results that will exceed the customers’ expectations. At Silver City Aluminum, we do so many projects for quality aluminum doors and windows that we have taken the next step to provide our clients with thermal filling and de-bridging solutions at our one-stop-shop for custom aluminum extrusion, fabrication, and finishing. Many of the door designs that we have worked on provide a thermal break or barrier to allow for increased insulation from the outdoor elements. We have a fully automated filler and de-bridging machine at our facility to fulfill this need in-house. Our team has the capability of first filling the break in the profile, and then de-bridging it to achieve any cavity depth required. This extra step is performed according to each client’s specifications. Our goal is to provide our customers with value-added services that are performed under the watchful eye of our highly trained staff. By providing these additional services for aluminum doors and windows, as well as for display profiles and frames, we can help clients to save time and money that would be spent on adding these extra features after extrusion and fabrication. You can get all of the services and options you need at Silver City Aluminum for all of your custom and standard aluminum extrusion projects. Get a FREE ESTIMATE for any of the professional services we provide at Silver City Aluminum by calling 508-824-8631. You can also reach our engineers and technicians by using our online CONTACT form to submit your information. Browse our website to see more examples of the work that we have done for standard and custom aluminum extrusion.